Q: My spinach and lettuces are sending up flower stalks before I really got to harvest as much as last year. What is the deal? A: Spinach and lettuce are both cool season, early spring crops. Most gardeners did not get to plant them early and now they are naturally going to seed (bolting) with all the warm weather. You could continue to harvest what foliage is left, yet it will not be nearly as flavorful and could even be a bit bitter. Q: I am seeing spots on the tomato leaves, and last year, we had dark grey and black bottoms on tomatoes. Should I be doing something so I don't have that again? A: The easier one first. The dark grey and black area on the bottom of the tomato fruits is blossom end rot and is typical on the first fruit set. The skin of the tomato needs ample calcium from the soil as the fruit is growing quite quickly. 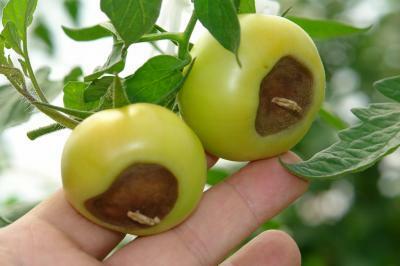 Two conditions favor blossom end rot, uneven soil moisture and the lack of a well-developed root system that can obtain enough calcium as quickly as the fruits are developing. We can manage the water available by irrigating between rains to keep the soil evenly moist. The roots need that soil moisture to remove the calcium. When the second flower set shows up the root system has caught up and as if by magic, blossom end rot disappears for the rest of the summer. Now, the spots on the leaves are one of several leaf diseases tomatoes can have. Culturally, giving enough space for each plant to grow without running into its neighbor is a good start. Watering the ground and not the plant is another. Tomato diseases need moist foliage and time for the fungal spores to germinate. That is why you see the spots first on lower and interior leaves. Tying up or staking the plants also is helpful, as it exposes more of the foliage to the sun and drying air. Removing the suckers that develop also can keep the canopy more open. Once those foliage diseases start, it is very difficult to get them under control. Fungicide sprays can help slow the spread for the rest of the growing season. Q: My bulb onions are really looking good right now, how can I keep them that way? A: This has been a good year so far for onions. Onions will continue to grow the bulb as long as soil moisture is even and available. If they dry out and even if water returns, the bulb will not increase in size any more for the rest of the season. You will know the bulbs are done growing when the tops naturally topple over. At that point, you could harvest and dry them all or leave them in the garden and pull just those you need until fall comes and you harvest the remainder. Richard Hentschel is a Horticulture Extension Educator with University of Illinois Extension, serving DuPage, Kane and Kendall counties. Stay tuned to more garden and yard updates with This Week in the Garden videos at facebook.com/extensiondkk/videos and the Green Side Up podcast at go.illinois.edu/greensideup. The Kendall County Master Gardener Help Desk is open for 2018. Current hours are Monday through Friday from 9 a.m. to 12:30 p.m. at 630-553-5823.